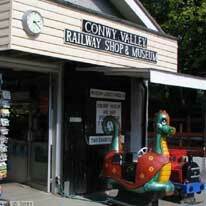 Overnight on Wednesday 15 June 2011, the Conwy Valley Railway Museum in Betws-y-Coed was broken into. The thieves disabled the three CCTV cameras by spraying over the lenses. They took more than £30,000 pounds worth of model railway engines and carriages. The thieves appeared to know what they were doing and police believe this was a targeted raid which has hit the small family-run business hard. They stole a massive amount of stock – around 180 items in all. 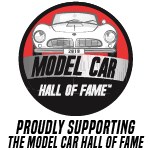 Ninety percent of which was standard Hornby models many of which are mass produced and very hard to trace. But the thieves also took seven Basset Lowke “0” gauge locomotives which are the more valuable engines. These are worth more almost £800 each. They also took two super model LGB locomotives valued at more than £2,000 each. Each of these models has an individual serial number which makes them easily identifiable. However the thieves left behind the boxes and the instruction manuals which will make the engines very hard to sell on legitimately. This isn’t an isolated incident. There was a similar burglary in Kent in May and North Wales Police has been liaising with officers there. They believe all the items may well be heading for foreign markets in Europe but would urge anyone who may have been offered anything similar for sale or seen them advertised to get in touch. Earlier in the year the museum and shop had been featured on the programme Great British Railway Journeys. There is a suggestion that the thieves may have been seen the stock etc on there and decided to carry out the theft.